To belong in society is the most important yet least recognised need of most humans. It is a fundamental trait that we all desire – so what is it that makes us feel this intrinsic need to belong? Why are communities so important to us and how do we connect with them? One of our Live Life Get Active members shares a story about communities and friendships and it demonstrates the importance of having a sense of belonging and how it makes us feel. Just over two years ago my husband and I moved from a busy, bustling, metropolitan city of approximately one and a half million people to relocate to a small beach community of just over 2,000 people. We had visited here several times, having decided to get out of the city and move to a small community. The move did bring us closer to my family but also took us away from good friends who all had busy, demanding lives … and I wondered as we left our home of the last ten years and headed down the road … if we would see them on a regular basis, if at all. Having lived in a small town many years ago I was aware of all the trappings, good and bad and wondered if things had changed. Making an impression on your neighbours! The first day we arrived in our new neighbourhood we encountered a problem: the removal truck wasn’t able to navigate the steep driveway of our house and the neighbours (who we had never met) suggested using their driveway to offload the truck. This seemed like a very good solution until the truck driver reversed over a small lemon tree that had only recently been planted on the neighbour’s property (and wrecked it)! The truck driver didn’t seem particularly concerned about this but we felt terrible. Not a good way to make an impression on your new neighbours! After apologising profusely on his behalf and offering to replace the tree we carried on with the onerous task of unpacking. Some hours later the same neighbours came over with several home-made pizzas for us and the removal crew. We had been going for several hours and it had been a long and tiring day – as you can imagine those pizzas were very well received! We were pleasantly surprised by this kind gesture, especially after wrecking their tree… and I smiled to myself as I thought – “this is what people do in a small community”. After we had settled in a few weeks later, the same neighbours also had a party to introduce us to some of their friends who have now become good friends of ours … and that’s where it all starts. The reason I am sharing story this is to emphasise the real purpose of communities – to welcome newcomers and to provide support and friendship to others. It was a true act of kindness to us when it could have gone horribly wrong with the ‘dead tree.’ Immediately we felt welcome and accepted into this small community and it opened up many doors for us, made us feel good and reinforced for us that the true community spirit is still alive. This simple story shows that we not only benefit from a ‘feel good’ factor but acts of kindness like this continue to support and build a solid community spirit and go a long way towards creating a healthier society and stronger community. Why do we crave a sense of belonging when we put down roots and make a new life? We are all social creatures and it’s a simple human trait that affects us all. It doesn’t matter if we are shy or outgoing, we all have a real desire deep down to connect with others and be part of a group that share common behaviours. We want to feel accepted for who we are and acknowledged for our contribution to society and be known for our strengths. Our society is moving at a rapid rate and while we are connected now more than any other time in history, it also has a down side. Due in part to technology, busy lifestyles, changing jobs, living in other countries, moving to new cities or small towns, juggling families and careers – all these factors contribute to making it harder for us to find the time and confidence to connect with others. Moving away, we leave behind families (our support network) and long term friends that can never be replaced. It is very easy to become isolated in our homes and as we get older we don’t have the opportunity of meeting our children’s friends parents, which eliminates another social networking group and the chance to meet new people and establish friendships. Often it is the woman in the family whose feels this burden most, especially if her partner is working and she is taking care of the home and looking after the children. As a pattern of domestic duties and child activities sets in, it is very easy to isolate ourselves from others in our community, we become detached from anything outside of the home and feelings of despair and loneliness can creep in. In many cases this can progress to anti-social behaviours. We need to belong: it’s a fact, to one another, to our friends, to our families, to our culture, to our community, to our country, to our world. Belonging is primal and essential to our sense of happiness, health and well-being. Our interests, motivation, health and happiness are inextricably tied to the feeling that we belong to a greater community that share common interests and aspirations. Sense of community is a feeling that members have of belonging, a feeling that members matter to one another and to the group, and a shared faith that members’ needs will be met through their commitment to be together (McMillan, 1976). Belonging to a close community of people is what we care about at Live Life Get Active and it’s one of big reasons we do what we do. Exercise is a great place to start participating in community activities and there’s something about exercising with a group that’s motivating and fun. All of our sessions are FREE and that’s another good reason to come! 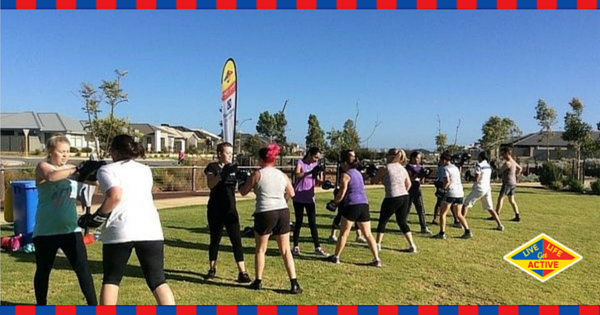 Every Monday to Friday, our passionate trainers at Live Life Get Active motivate groups of people in parks across Australia to get those endorphins pumping and the feel good factor going. 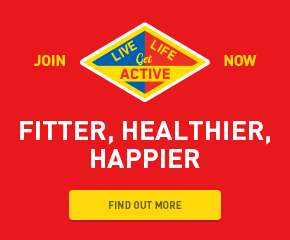 Our groups at Live Life Get Active are made up of people and friendships who support each other and much more than that … it is a great place to meet new people, get fit, get healthy and most of all have fun and get to know new people. Come and hang out with us and connect with like-minded people who will welcome you, and share your experiences and talk about the same things. Register here. Before you know it, you’ll be feeling the benefits from the inside out, making friends and joining a real community. The only thing we ask is that you have fun doing it! Thanks for another great training session today. I have been recommending these classes to everyone I know. I feel so lucky to have come across them and want as many people as possible to know about them and utilise them. I think this is a fantastic program for our community.